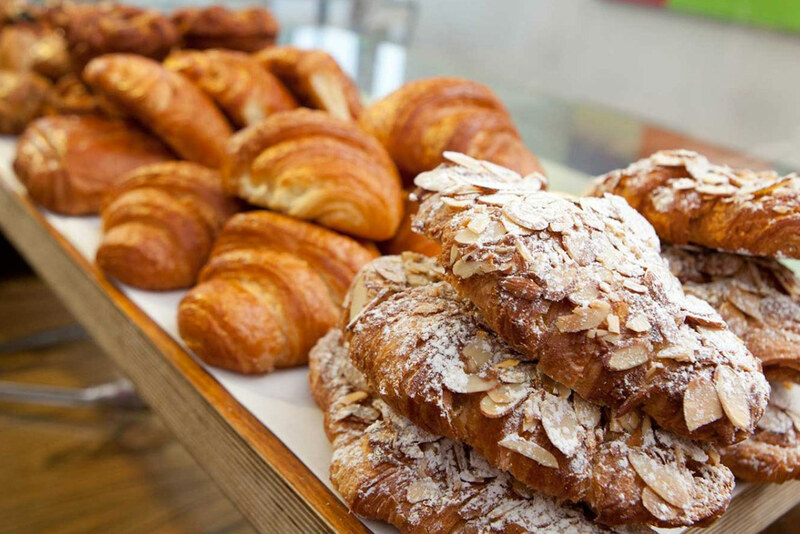 Our favorites: Almond and Butter Croissants on display at Röckenwagner Bakeries! Hans Röckenwagner in his bakery. Photo courtesy of Röckenwagner Bakeries. When looking at the accomplished and beloved LA chef and restaurateur today, it may surprise to know that cooking wasn’t always his passion. However, it was always in his blood. 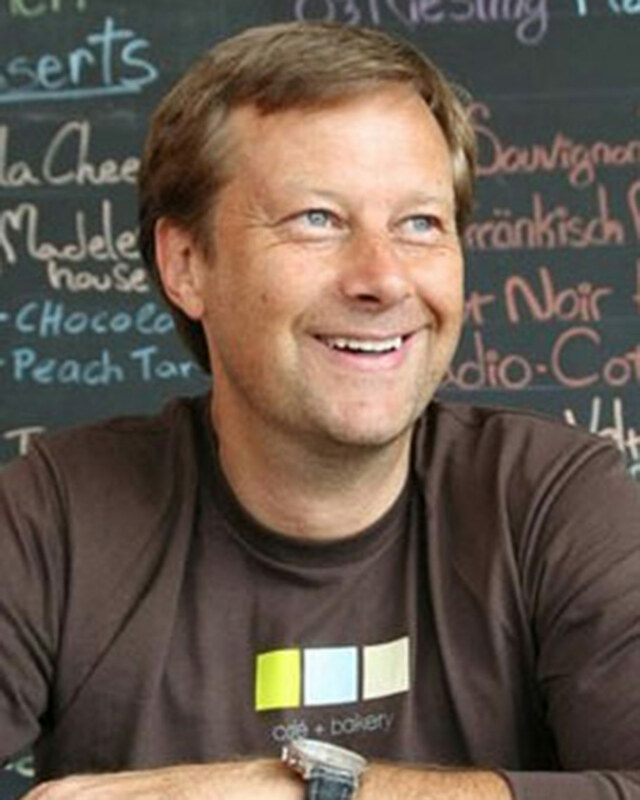 Hans grew up in Germany the son of a chef and restaurateur. In his youth, Hans had no intention of following in his father’s footsteps. But three years of rigorous culinary training in renowned private boarding school, Black Forest Academy, where he studied both Classical French and Nouvelle Cuisine. He began to enjoy combining these two worlds and excelled at elegant presentations. Before long he had fallen back in love with the art of food.After the academy, he apprenticed at the prestigious Michelin two-star Zum Adler restaurant near Basil, where he was able to put his creativity into his work. Word of his talent traveled fast and Zum Adler was followed by work at restaurants throughout France, Germany, and Switzerland.In 1983 Hans was invited by Jovan Tryboyevic of the legendary Le Perroquet Restaurant, to come work at in Chicago. At only twenty-two years old, Hans was one of the youngest chefs ever to run such a high profile kitchen. After several years in Chicago, Hans set his sights on sunny Los Angeles and in 1985 he opened up his first restaurant at only 24 years old! Bread fresh out of the oven at Röckenwagner Bakeries. Hans fell in love with his new home and in 1991, after the riots, Hans felt that LA desperately needed to come together and some common ground. He began holding communal dinners at his restaurant where family, friends, and members of the local community could meet, open a bottle of wine, and enjoy a great meal. 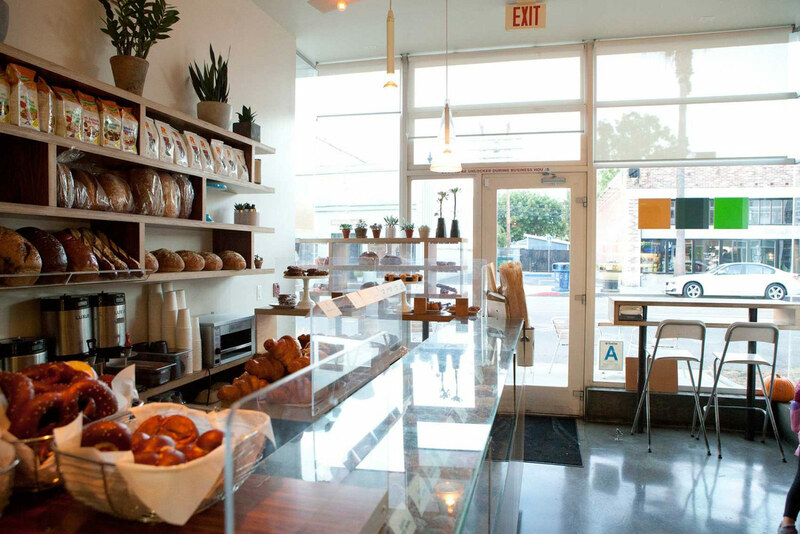 His reputation for great food and good spirit spread around Los Angeles as Röckenwagner Bakeries became synonymous with the best baked-goods in LA. You may be already familiar with their tasty bread and pastries, but Rockenwagner’s next big thing is sweet treats! 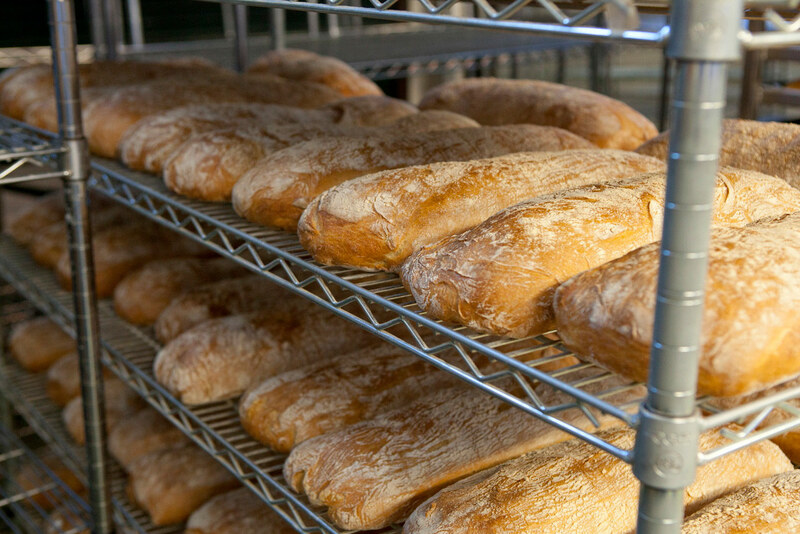 In addition to his cookies, brownies, and croissants, a wide variety of fresh baked breads are now available at GrubMarket, and we’ll be honest, we’re all absolutely addicted! We’re delighted that GrubMarket is the only online grocery delivery company that is privileged to carry fresh-baked Röckenwager goods. We are so proud and honored that he has chosen to be a part of the family!